Most people I know think it’s absolutely ridiculous that a human being right now, THIS YEAR, could make money blogging. “Blogging is dead” seems to be the mantra, but friend, the only thing that’s dead are these grumpy people’s imaginations! I have other online friends who completely support their families with blogging too, and one even paid cash for a beautiful house earlier this year! These people are not made up. They’re just hard-working, smart, creative individuals who found a way to make blogging work for them. 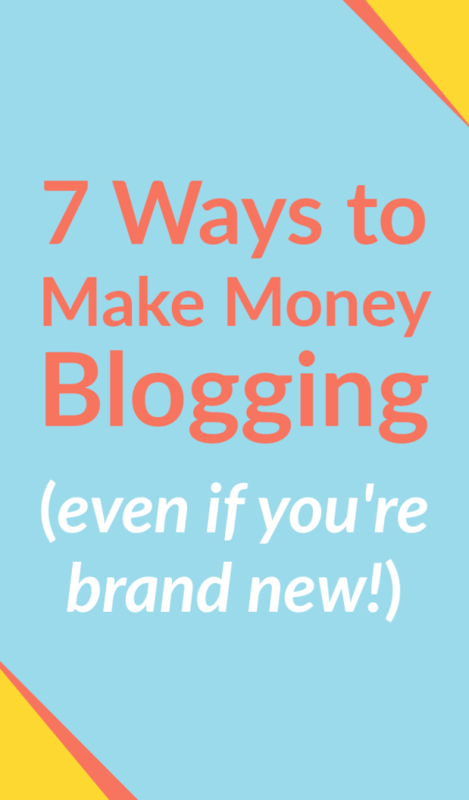 There are SO many ways to make money blogging. It’s not a one-size-fits-all profession. I can’t wait to show you the lay of the land so you can find a money-making strategy that works best for you! This is (in my super humble opinion!) the best way to get started making money blogging, because you don’t need a certain traffic number to start making affiliate sales, and you don’t have to spend hours upon hours creating your own product. Affiliate marketing helps you “cut your teeth” in the blogging world. You’ll learn how to write well, be super helpful, solve your reader’s problems, and market in a genuine, authentic way. These skills will then serve you well for any of the other monetization methods you may add in later. Affiliate marketing was the first way I made money blogging. I was promoting my sister-in-law’s new eBook. Over the next few years I came to learn that I was one of the top affiliates of her product — simply because I matched what my audience wanted with a product I already used and loved. A quick note here: I wasn’t making big bucks in those early days! Maybe a couple hundred here and there from being part of a sales promotion. But it was something! And those first affiliate sales came within the first few months of setting up my blog. Carly from Mommy on Purpose has earned anywhere from $1100 to $2500/month in affiliate sales over the last 3 months, and that’s just from her mommy-focused products. She’s since gone on to create a course on affiliate marketing, and she makes quite a bit more affiliate revenue inside the blogging niche. Also, I thought this was crazy — Carly doesn’t even have a mom-tips focused email list. She makes all of her “mommy-product” affiliate sales just from her blog posts and site traffic. (!!) People making good money without email lists blow my mind! I love learning all the different ways you can earn an income. There truly are one hundred different ways to do it! There are some niches that tend to be more lucrative – like business and finance, because some of these niches have affiliate programs with super high bounty rates (meaning you get paid a lot for each customer you refer!) but I love that Carly is earning over $1,000/month sometimes just from Amazon affiliate sales talking about Mommy products she loves! Oh, and I almost forgot! The one fabulous thing about affiliate marketing is that, over time, it can become super passive. If you write an epic blog post that converts well for an affiliate product, and you get that epic blog post constantly circulating on Pinterest and ranking on Google, chances are you’ll be raking in affiliate dollars for that post month after month. I’m able to make passive affiliate sales by recommending ConvertKit. I did the work upfront of promoting several different free classes from ConvertKit, and having a good portion of my audience sign up for a free trial. Once a free trial turns into a paying customer, ConvertKit sends me a check for 30% of the revenue that customer brings in for them…. Every single month! It’s pretty crazy, actually, because as the people I’ve referred continue to grow their email lists, they have to use a higher ConvertKit plan (i.e. it costs a bit more) so my affiliate revenue increases some months, without me lifting a finger! It’s possible for a blogger in any niche to make affiliate sales by talking about the products they know, use, and love, and then finding the right affiliate programs to join. Sponsored posts can be a very lucrative way to make money blogging if you’ve got a large following or high traffic numbers, OR you’ve got a loyal following in a specific niche. My sister and I once scored a sponsored post that paid $500 and took just a few hours to write, and at the time our business blog had traffic under 25,000 pageviews/month. This sponsored post rate is pretty high for our traffic numbers! But our blog is very “moms-in-business” focused, and that’s exactly the audience our sponsor wanted to reach. Jessie Festa, a travel blogger, gets paid anywhere from $1500 to $5,000 for each press trip she goes on, and her blog has just 45,000 unique visitors a month! That’s the power of knowing your stuff when it comes to pitching the right brands, being uber professional, and knowing how to upsell a $1500 yes into 5k. If you’re scared to death to pitch to brands, you’ll love Jessie’s course all about How to Work with Brands and Make Money. 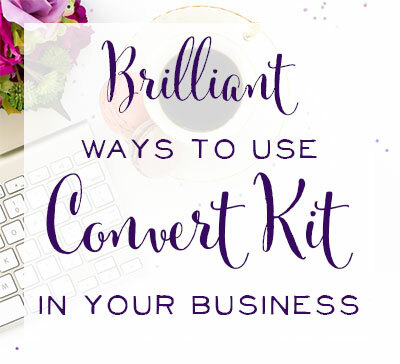 Jessie walks you through every step of the process, from setting up a brand-friendly blog and social media accounts, to creating a gorgeous, uber-profesh media kit, to creative ways to make sure you get a Yes from your favorite brands. I don’t know any bloggers currently making a full-time income JUST from putting ads on their sites or on their YouTube channels, but I do know influencers making some great side cash from ad revenue. YouTubers Tasha and Joseph Cochran are making $2,000-$4,000/month just from enabling ads on their YouTube Channel. Note: Your channel needs to have over 1,000 subscribers and over 4,000 watch hours in a 12-month period in order to be eligible to join the YouTube Partner program, so it’s going to take some time and work to be ready for ad revenue! I love Tasha and Joseph’s story of just randomly trying out a few YouTube videos, letting their channel sit for a few years, and then getting their first $100 check from YouTube. That was their light bulb moment, and they really started pouring everything they could into their YouTube channel after that. In March of 2017 they earned $100 in one month via YouTube ads, and by September of 2017 they earned $1000 in a month. I’m so impressed at their growth trajectory! It just took focus and digging deep. You’ll love Tasha and Joseph’s YouTube Made Simple Course inside the Genius Blogger’s Toolkit. It’s one of my absolute faves! If you want to place ads on your own site, Mediavine seems to be the current top ad network for this. Many bloggers report that they’re making 50-100% more revenue per pageview compared to using Google Adsense. Note: Mediavine requires that you have at least 25,000 sessions per month to be eligible to work with them. This means 25,000 different people and/or people coming back at different times throughout the month to your site! So… this isn’t a beginner way to to make money. However, Jen Koellmann of HairsOutofPlace.com was desperate to hit those 25,000 sessions/month FAST with her new blog. She dug into Tailwind Tribes and became eligible for MediaVine after just 3 months blogging! So ad revenue can be some nice side income, but it shouldn’t be the only way you make money blogging. Let’s talk real numbers so I can show you what I mean. There’s not a standard number of earnings per pageview or visitor with MediaVine because it depends on what ad partners are working with you, your site niche, and more. But here are a few examples: Jeremy and Angie of Living the Dream had 170,000 pageviews in September across two sites, and earned a total of $3,524 from ads. This equals 2 cents per pageview. As a new blogger, it’s generally a struggle just to hit 10,000 pageviews within a month or two (and in this case, you wouldn’t even be eligible for Mediavine yet!) But even if you were miraculously on some other network earning 2 cents per pageview, that’d equal just $200 in ad revenue for the month. Now that’s some nice little side cash for doing something you enjoy, but it’s not supporting your family! And if you were Mediavine eligible and eeked out 25,000 sessions per month (or about 50,000 pageviews), you’d be making $1,000/month in ad revenue. 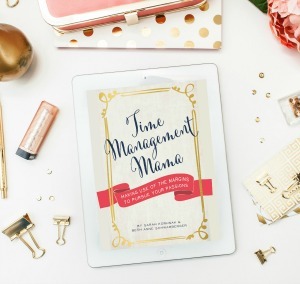 When you’re ready to take your blog to the next level, I recommend you start by either creating your own eBook or your own collection of printables. It takes way less time to create these two products than it does to produce a full-fledged video course, and it’s a great way get some practice on launching a product and figuring out how to market it to your people. One of the easiest ways to get started on your eBook is to see which blog posts resonate most with your readers. Which posts get the most traffic month over month? Chances are that’s because Pinterest and Google users are desperate for some help in that area! But just as importantly, which posts get commented on and shared the most? These are clearly posts that your readers are passionate about. 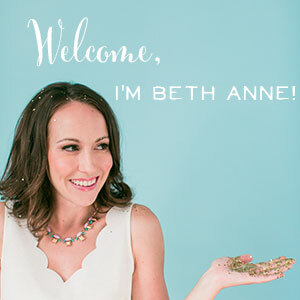 Inside the Toolkit, Beth Brombosz has an eBook all about how to turn your blog content into a great book — complete with marketing strategies and formatting tips. I was blown away. I still remember where I was STANDING in my mom’s kitchen when Abby told me this, that’s how impactful it was. Abby had been blogging for 17 months at that point, and she created this product from scratch that was all hers — no one could take it away from her! And in the first week of selling it on her site she had over 300 customers! Abby made over $3,000 in that ONE WEEK of sales! That was such a light bulb moment for me. And I made a mental note to put creating my own products at the top of my biz to-do list! But at the time, making REAL money blogging seemed impossible, so to have people in my own family make several thousand dollars in one week of sales… it changed my entire perspective on blogging. I’ve lumped printables into this category as well, although they could truly stand on their own. By printables I mean selling digital copies of planning printables, checklists, worksheets, workbooks, journals, even art printables. Whatever interest or hobby you have, there are probably some printables around that topic that you can create! But recently I took the How to Make your Own Printables course from Laura Smith, and… I kinda felt like smacking myself upside the head. 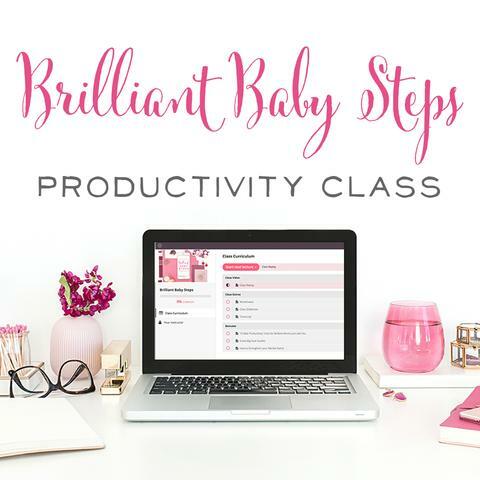 Laura showed me how to use Excel to create my printables, and holy crap, there are a lot of amazing shortcuts you can use! 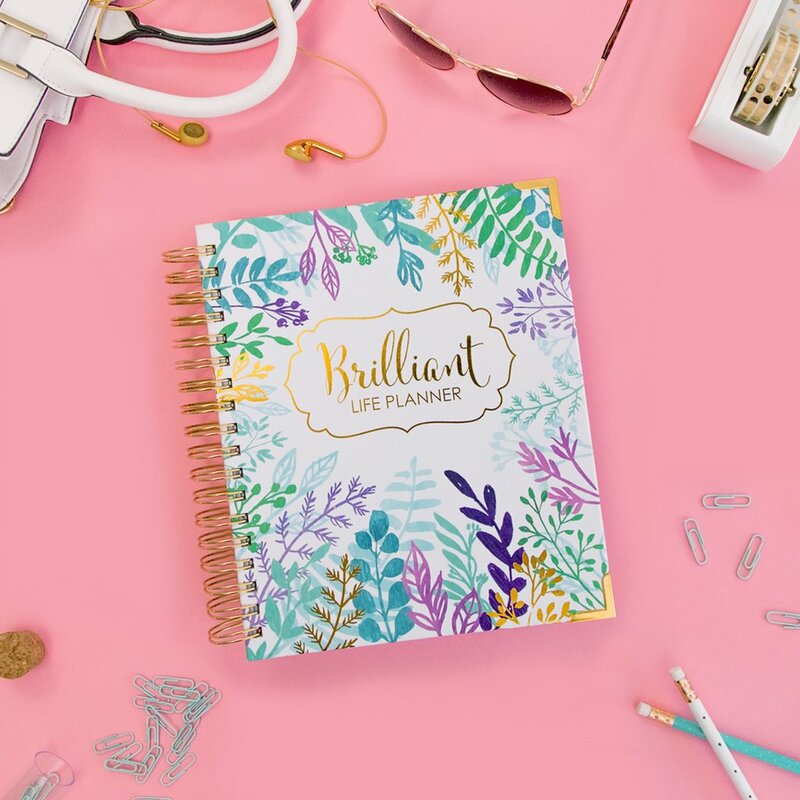 Laura even walks you through this gorgeous daily planning printable of hers, and shows you exactly how to make it. Ohhh online courses. I feel like you’re getting such a bad rap lately, and…. It’s because so many people have COURSES teaching other people how to create online COURSES, and it’s enough to drive anyone a little batty. I feel like internet marketers talk about online courses as though they’re a get-rich-quick scheme, when they’re not at all. Second, because most courses are video format, they feel like a much more premium product than an eBook, and you can generally command a much higher price. In my experience, most eBooks range in price from $5 to $70, with an average of maybe $15 a pop. Most online courses I see range in price from $50 to $1,000 with an average of maybe $300 a pop. Big difference! Even though you usually sell less products the higher your prices are, you also counteract that with much higher profits per sale, and the math tends to work out in favor of courses! Third, I love online courses because they’re such a great way to build relationships with your audience. I can tell so much more about who you are as a person when I’m seeing and hearing you on video versus reading your words on the page. You can nail an eBook and have your customers coming back for more from you, but goodness gracious when you nail a course, people REALLY come back for more! Oh, speaking of shutting down my premium courses, you might be thinking, “why… if they’re so great?” Well, courses do have a downside. They can require MAJOR upkeep, like when the platform you teach about constantly changes. It’s much harder to edit or re-record a bunch of videos versus just editing an eBook. Courses can also require massive amounts of time and tend to bring more demanding people out of the woodwork. I get it. They paid GOOD money to learn from you, and some students think that good money entitles them to own you indefinitely. It does not, but it’s really hard to convince them of that! So… there are pros and cons to courses, but they can be really fun, and most bloggers who go the course route tend to see their business grow to the next level as a result. I put coaching and workshops together, because coaching generally means working with someone one-on-one, and a workshop is often a group coaching experience. To me, both of these options are even more premium-priced than a course, but you’re working with way fewer people. You get the benefit of working with your customers much more closely and really ensuring they stay the course on whatever it is you’re teaching them. On the other hand…. I have a hunch that clientzillas might be even more likely with these packages as compared to online course students. However, I know many bloggers who first launched their courses as group coaching programs, where they pre-sold their idea to a small group of people, created the content week by week, and then got loads of feedback from their first group of students to improve their final product. And in some fields, it’s much easier to learn how to help someone one-on-one before you move on to big groups. I’m thinking about fitness or organization or parenting, to name a few. I think if I was a blogger in one of those fields, I’d feel way more comfortable booking one-on-one sessions with people that were quite open-ended to start. I’d just listen and figure out where their stumbling blocks were, and then develop a plan of action and ways to help them from there. After a year of experience helping individuals one-on-one, I could see it being much easier to identify the most common struggles and setbacks my audience faces on a particular topic, and then systematize my coaching to turn it into an online course for the masses. The other reasons you might offer coaching: You LOVE one-on-one work. You’re just the kind of person who loves to go deep with people and you can’t stand how big and stranger-like an online course group of hundreds of students feels. Maybe you’ve got a super small audience currently, but you DO have several super fans among that group. They’ve been begging you to help them in your area of expertise, so offering them one-on-one coaching is the perfect way to increase your income. No major tech skills needed, no huge launches, you just offer up a paypal button individually to the people who want your individual help. I’ve personally done a few one-on-one coaching sessions. (I was the coach — the one teaching, and it was REALLY fun!) I LOVE the chance to give someone that kind of personalized attention, but I really struggled with charging what I was worth, sticking with my time limits, and during that season of life with a baby at home, it just wasn’t something I could sustain with my unpredictable schedule. But coaching could be perfect for you! I’ve personally met several coaches who charge a premium price and make a great living doing it. They love it, and they have no interest in complicated product launches, ad revenue, or sponsored posts! I see this happen all the time: A blogger gets really good at a particular skill, like videography for their cooking videos, or Facebook ads for building their list, and then all of a sudden people start begging to hire them for that skill! That’s what happened to Lisa from Elembee.com She started blogging in 2010, just as a fun hobby, but as she slowly nerded out on her website design more and more, she decided to quit a job she didn’t love and launch her own web design business instead. Since she was already blogging and building relationships online, she was able to find clients. Fast forward to today, and Lisa is charging $2,000-$7,000 per web design project! Ahh! You go, girl! I’ve seen bloggers turn themselves into full-fledged Ads Agencies, or Creative Media Companies, or Graphic Designers. And while some might view their trading dollars for hours as a negative thing, in many cases they’re charging really premium prices for their services, working with people they enjoy, and doing what they love! The beautiful thing about selling your services is that if you niche down and work hard on improving your best skills, you DON’T have to have a huge audience to make money this way. You just have to put your best foot forward and find the right people who can use your help. You never know where your blogging journey might lead you. The key is to get started, work hard, and never stop learning. And along the way, make sure you pursue that beautiful sweet spot where your passions collide with what your audience wants most. THAT, my friend, is the real key to making money blogging! Ok, friend! It’s time to come up with your monetization plan for your online platform! Will you write to me and tell me what your blogging goals are for this year? 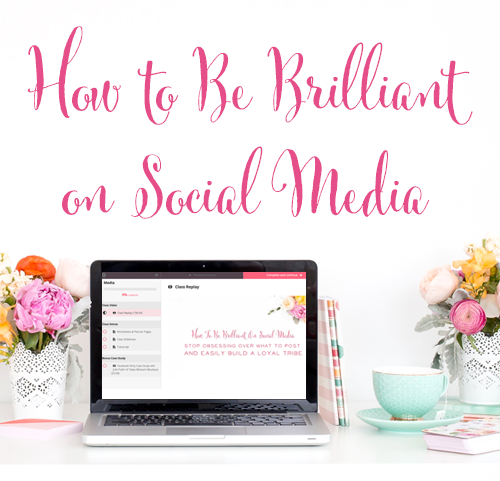 brilliantbusinessmoms@gmail.com I’d love to cheer you on! Psst! The Genius Blogger’s Toolkit is only open for 6 days, October 10 – October 15, and you don't want to miss it! You’ll get access to over 50 online courses, eBooks, and amazing resources to grow and monetize your blog. I’ve been poring over these resources the past few weeks so I can give you all my honest thoughts, and I’m giddy with excitement to tell you all about them! Want to know more? Check out my Completely Honest Review of the 2018 Genius Blogger's Toolkit right here!